Whether you are visiting family, following your vacation dreams or traveling for business, the J.A. 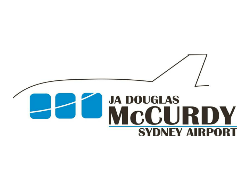 Douglas McCurdy Sydney Airport connects you to the world with convenient one stop connections through Toronto or Halifax. They are committed to providing quality airport facilities for the commercial, charter and general aviation aircraft that use their airport. These improvements reflect their customer-oriented approach. Their goal is to provide you with excellent customer service! The Sydney Airport Authority is committed to the betterment of its community and the local economy by providing quality, safe, and accessible aviation services and facilities for the traveling public and for the people and businesses of Cape Breton Island. They want every experience at the J.A. Douglas McCurdy Sydney Airport to be a positive one. The airport is about a 20 minute drive from the Sydney downtown business district and is a short driving distance to other parts of Cape Breton Island. The J.A. Douglas McCurdy Sydney Airport is your Cape Breton Island Gateway! Come visit our beautiful island.